How are your collections set up? When booking photographers on an hourly basis, most couples cut down on the hours to fit their budget. However, you look your best when you have time to breathe and enjoy your day. You will have more beautiful moments if you have time to allow those moments to happen. I believe the hair and makeup artist needs time to finish her work without pressure, I believe in allowing your family to hug you and wish you well without being rushed, and I believe in allowing the little flower girls to tell you how pretty you look – there’s no reason to rush them. Therefore we will work on creating a photo timeline together, taking into consideration all your wishes to be able to select the collection that best suits your needs. How much time do you recommend for “Getting Ready” photos? I usually recommend 1.5 hours for the bride and 1 hour for the groom – minimum. This is the coverage of the bride and groom getting ready, the bride and her side of the party, and the groom and his side of the party. A second photographer is optional, for additional cost, to capture different angles and more guest photos. Please note that I still prefer to take on the responsibility of photographing both bride and groom. Where are you based? Do you charge a travel fee? I am on the process of relocating. So currently with two locations, one in Central Florida and one in North Florida, in Gulf Breeze. I do love traveling, and I make it easy on you. I have photographed weddings all over the place, including Ireland, Michigan, Alaska, Hawaii, Bahamas and the list goes on. Let's chat! How long does it take to receive files? I am fast! I take a lot of pride in getting things right on camera, so you will receive your wedding proofs within 3-5 weeks. My focus is definitely on quality rather than quantity. The total number of images can vary based on length of coverage, number of guests, and other factors. I would say 800 images is a good average. If you would like rehearsal coverage, we can add it to your collection based on availability. Absolutely! Please be aware that it can take up to 2 business days to add your venue to my policy and have the certificate updated properly. I carry two Nikon bodies with me and a good variety of lenses. I regularly ship my equipment back to Nikon for cleaning and readjustment to ensure the best possible performance and sharpness. 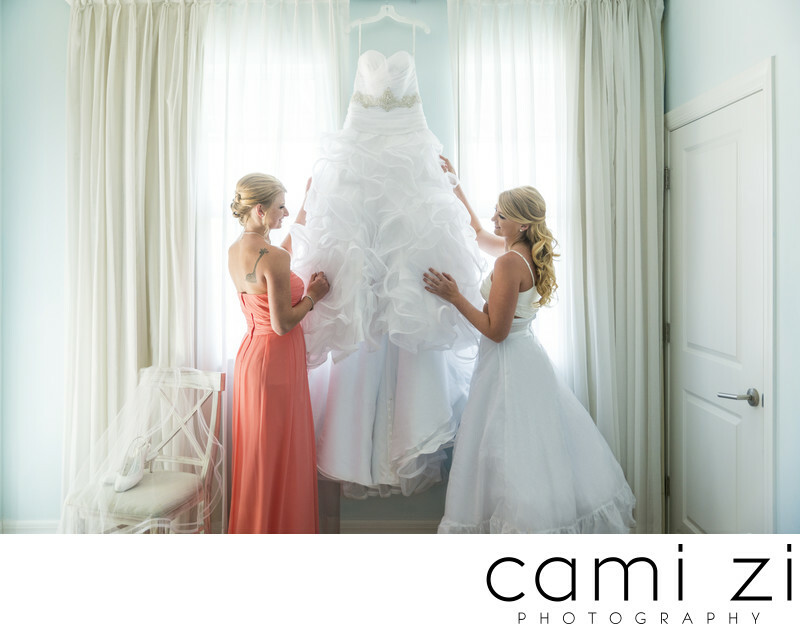 I also do work with lights – either complementing natural light or adding creative lighting to the mix of images. I am a tree-lover, so I have automated my whole booking process. When you are ready, I submit an online proposal to you so you can read the terms of contract before signing. After online signing, the retainer can be paid online or by mailing a check. Do you allow friends or family to take pictures during the wedding? Sure! Make sure they take photos of me working and tag me on social media! Ha! All I ask is that they avoid covering their faces during the ceremony or block the aisle. Also during family portraits after the ceremony, it would be better if friends and family avoid raising cameras while I am shooting just to make sure everyone is looking at the correct camera. Besides that, the more the merrier, right? If I need to cancel the wedding, will the retainer fee be refunded? The retainer fee is non-refundable. The retainer guarantees that I am holding the date exclusively for you, turning down all other commissions for that day.